Most of us spend our entire lifetime trying to earn "more," but we land up disappointed at the minimal returns we receive when we need our money the most. What went wrong? While it is important to focus on earning money, it is equally crucial to weigh your four financial building blocks to create a smart balance. What are these building blocks? Simple - these are your earnings, investments, savings, and spending. If any of these four elements is not in balance, then you risk missing out on your financial and life goals. Let's check out some tips that can help you master the art of balancing the four financial building blocks with ease. There are many interesting calculations you can follow to balance your earnings, savings, and spends. But one of the most popular calculations is the 50-20-30 rule. As per this rule, you need to allocate 50% of your net income for your needs (that is, your bills, groceries, payments, school fees, debt clearance, etc.). The next 30% should be allocated to your wants, which includes all your fun activities such as dinner, outing, online shopping, and other likes. The final 20% should be allocated to savings and investments. Although the rule allocates 50 and 30% on wants and needs, see how you can reduce the percentage on spends and reroute the amount to savings and investments. Constantly monitor these two areas to see how you can cut back on your spends. Creating a monthly budget is a great idea to get this doneOf course, you do not have to sacrifice your entertainment and fun spends, but see if you can set aside a little more than 20% for savings. Most of us save what remains from our needs and wants expenses. However, the better option is to first set aside the percentage of savings and then use the rest for expenses. You can also plan your salary to be the amount you set aside for expenses. A smart idea would be to set auto-transfer account rules so you can get the percentage of your salary automatically transferred to your accounts dedicated for investments. Earnings are not just your salary - it can be a rent you receive from your property, dividends, interest, and any other option that brings in money. Hence, look for options of investment that give you regular dividends, interests, or rent. The type of investments you make and save you choose to depend on your specific situation. Hence, your friends' investment plans or your relative's choice of insurance might not be the right direction for you. Always take the guidance of an expert financial advisory service that can assess your financial goals and accurately advise you on the right investments that can make your money grow. Your financial advisor can guide you with the right set of investments that are best suited for you - from insurances to mutual funds. They can help you plan the amount you need to allocate for each investment, based on the risk involved, their liquidity, and the returns you would gain. Among other details, the investment recommendation will definitely include your ability to afford the amount you will need to put aside and your life goals. Ensure that you have a trusted source of ready cash or liquid assets available with you to cover emergency situations - it could be a savings account, a health insurance, or other sources of savings that can help you sail through a rainy day. Plan for this fund by considering the dependents in your family and commitments you foresee. The earlier you start thinking about these building blocks the better the scope you have to reach your financial and life goals. Start building the habit of saving a portion of your earnings and investing your money smartly. There is a clear advantage of starting aggressively on planning investments when you are young. At this early stage of your financial journey, you can afford to absorb the high risks associated with the high-return investments, unlike the more conservative approach you would tend to take later on in life. So waste no more time and start gathering your financial building blocks right away! 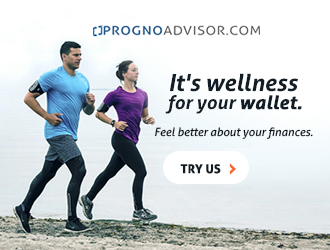 Connect with Prognoadvisor.com for a FREE financial assessment to understand what your financial investment options are and how you can make your money grow with confidence.